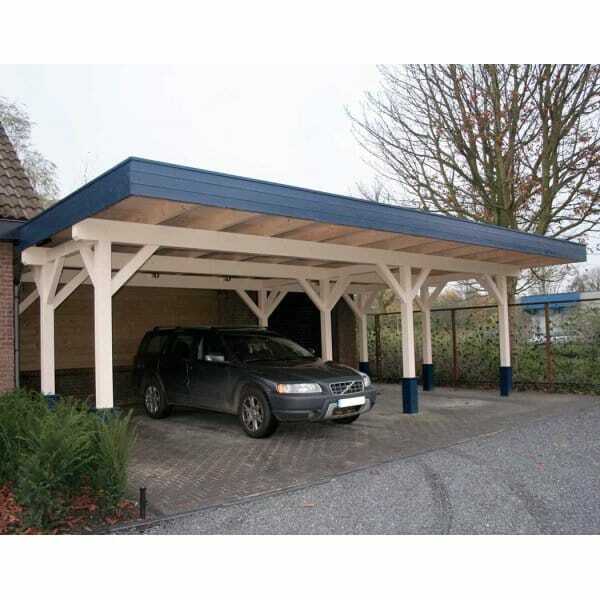 Bertsch Carport Standard 927 x 648: This large Triple Carport is simple and very sturdy Carport Offering 2 x Open Span Bays and 1 x Bay (Posts positioned as shown in plan). The Triple Carport from Simply Log Cabins is versatile in that each carport is made to order so we have the facility to accommodate your requirements into the design. The front roof projection of 143cm offers ideal optional shelter. Very many carports are sold as an open plan building to cover, for example a dining area or a children?s play area so the practical uses of this type of building are very broad. Available from Simply Log Cabins.